The NHL announced today that Jason Pominville was named as the league’s First Star of the Week capping off an excellent 8 point performance. The often maligned Pominville has simply played his game and soldiered on to give the Wild what they need from him no matter where he plays. 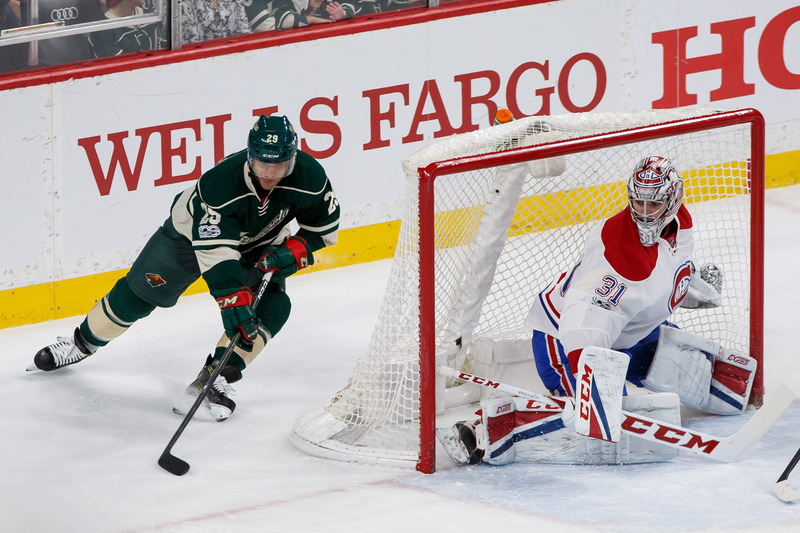 Snakebitten, overrated, and washed-up have been just a few of the phrases that some have used to describe the Minnesota Wild veteran forward Jason Pominville. The State of Hockey has had a love hate relationship with Pommer ever since he was traded to the team during the 2012-13 season. He was seen as the dominate player that would roundout the lineup and give the Wild prosperity for years to come in the scoring department. But especially in the last two seasons Pominville has struggled to get his game going in the first half of the season. 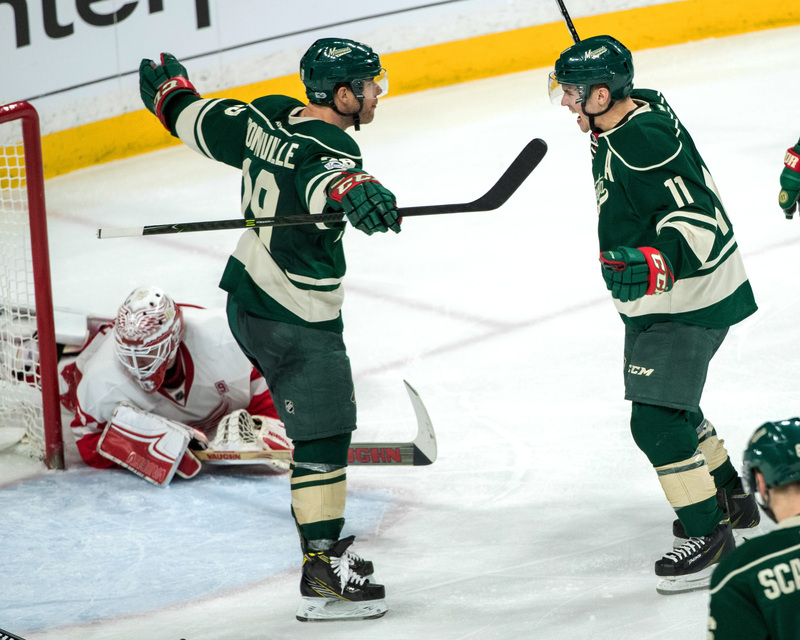 But the second half was a different story for Pomiville last season as he actually ended up being the Wild’s best player for the last two months of the season, and now this season he looks to be poised for another run to the top of the Wild’s second half scoresheet. 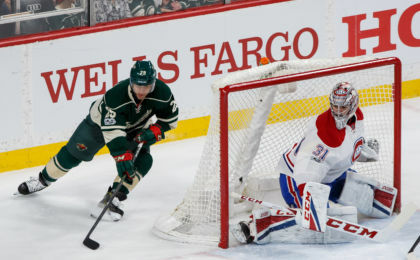 Last week was monster for him as he collected points in every single game the Wild played for an astounding total of 8 points tallied (2 goals 6 assists) in 4 games. So good was his performance last week the NHL decided today to name him the league’s First Star of the Week. Looking at this season though it’s hard to say that Pominville is underperforming. He’s 7th on the Wild in points, 10th in goals, and 4th in assists which is a very solid performance. Also in addition to his standing on the team’s scoresheet is that Pominville is currently only one point behind his point total for last season, and if he continues on at this pace he could finish in the 50 to 60 point range which is closer to his 2014-15 totals with the Wild. Pominville’s game is solid right now. Sure the goals are not coming at the pace like they need to, but with the Wild boasting 10 players with 10 or more goals does he need to be concentrating on that? His game seems to have morphed into an assist driven, no mistake brand of hockey. Since January 5th Pominville has notched 16 assists which is the most helpers by a Wild player in that stretch. He may be snakebiten when he shoots the puck, but he seems to be moving it very well and translating strong hustle into goals for his line mates. Additionally he’s not making too many mistakes as through 55 games he’s only given the puck away 10 times, and been in the penalty box twice. Yes Pominiville can be streaky, and Wild fans know this and pretty much need to embrace it. Where they should be encouraged about him is that he’s translating his hard work into results, and turning it on at the right time and makes the best of where he is placed in the lineup. Could he go cold again? Maybe, but if last season is an indication Pominville is right where he needs to be to contribute biggly for a Wild stretch/playoff run. He’s a veteran player who does what he needs to do night in and night out, he may not always be the one getting the goal but he’s certainly doing his share to make sure others put the puck in the back of the net.